This is another novelty model. Andreas acknowledges part of the design to the late Bert Halliday. It features a series of rings which when turning appear to be floating in the air. This is of course an optical illusion. 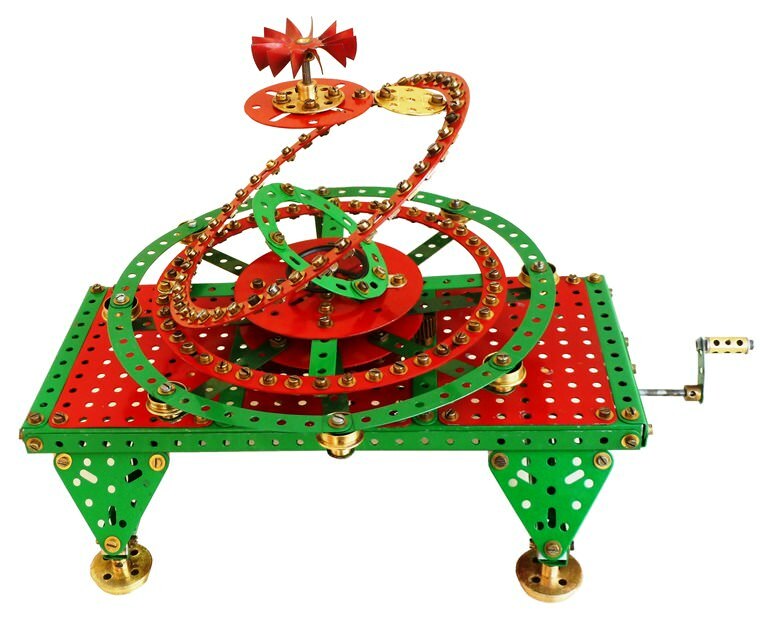 The model is hand driven but can quite easily accommodate a small clockwork or electric motor. Eight very clear photographs are included with the instructions.